Patterned Concrete® Industries Ltd. offers its franchise members a branded business with a 40-year reputation in architectural stamped concrete. It trains only one licensed contractor per guaranteed territory. Accredited franchises must operate as part of the installation network, but Patterned Concrete® Industries does not own the licensees; 16 franchise members operate in North America. Licensees can avail themselves of an array of trademarked stamping tools and the capability to create custom patterns. They also receive tech and marketing support. The company and its licensees approach municipal customers to help raise material donations to meet budgets for projects such as skateparks and this year will participate in a charity fun day for a skatepark. Patterned Concrete® Ontario Inc. recently received an architectural hardscape award for an installed skatepark. See Concrete Surfaces June 2014 for more on that project. 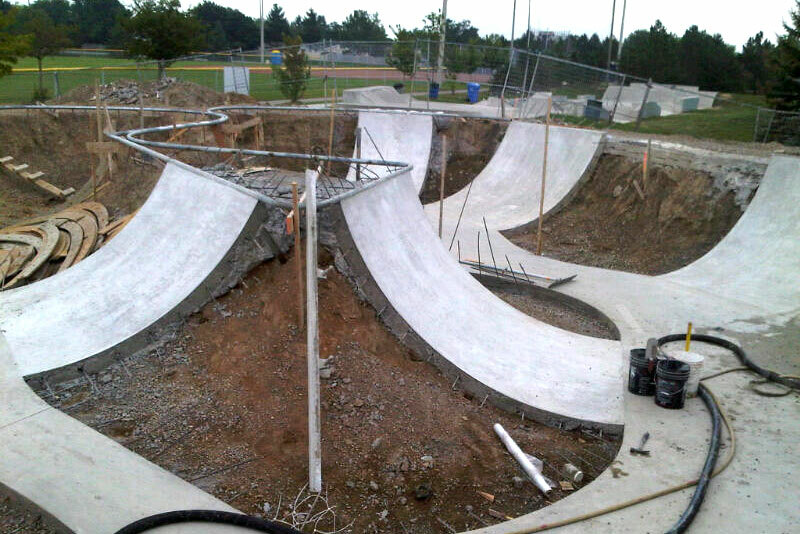 Bonus Video: Port Colborne, Ontario’s Algoport Skate & BMX Park project won a 2013 Ontario Concrete Award in the Architectural Hardscape category. The awards are presented by the Ready Mixed Concrete Association of Ontario.